Lose weight, exercise regularly, follow a healthy diet-we make such resolutions every year and 2018 will be no different. Interestingly, most of the people make New Year resolutions relating to health and diet. Therefore, it is very important to know as to how one can maintain a balanced and a healthy lifestyle. Balance it out: The easiest way to maintain an ideal weight is to balance the calories we consume and the kind of exercise we do. Balancing calories means following a healthy diet that contains all the food groups, making sure the food consumed is colored and varied in order to avoid losing interest, and also giving your body all the important nutritional elements, such as vitamins and minerals. 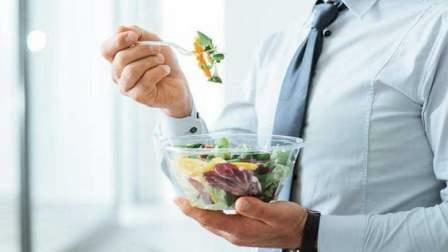 Organize your meals: Organizing your daily meals is very important for maintaining an ideal weight. It is recommended that you eat controlled quantities in all of your meals. Skipping one meal will make you feel starved and may cause lead you to eat more. Light snacks (2-3 snacks) can be taken between the main meals every day. Eat light and eat right: Start your day with a minimum of a glass of water, warm water with lemon and honey will be good. Breakfast should include a bowl of oatmeal with nuts and a spoonful of flaxseeds; scrambled eggs with a piece of wholegrain toast, or muesli with yoghurt and berries. Lunch should include steamed, grilled, baked, roasted or sautéed dishes. Dinner should begin with a light soup (no cream) or lentil soup and should always be a light dinner that has carbohydrates, protein and good fats. Snack it out: Eating a snack between your main meals can prevent you from overeating. Therefore, you should make sure you eat some snacks during the day. The healthy snacks should be small meals, containing the nutritional elements that may be lacking in the rest of the meals. Examples of snacks are fresh or dried fruits, vegetable slices, such as carrots or cucumbers, raw nuts (unsalted - a handful) or milk (low-fat), and some dairy products or a dark chocolate (30 grams) which is the amount allowed per person per day. Always remember that even if your options are healthy, do not take excess quantities of them. Eat slowly: Take some time to savour every mouthful of your food - opt for smaller bites and chewing slowly. The brain takes around 15-20 minutes to realize that your stomach is full, meaning by dessert time you are unlikely to overeat. Eat the 'good for you' options first: Starting your meal with a bowl of clear broth or a green salad will mean that you are fuller by the time you progress to the stuffed turkey and mashed potatoes and finally dessert. Shop smart: It is very easy to get distracted by the unhealthy options available when you shop for groceries, especially if you shop on an empty stomach. Opt for fresh fruits and vegetables. Low fat dairy or whole grains are a healthier alternative so fill your shopping cart with these. Also, use a natural sweetener that tastes just as good as refined, processed sugar in desserts. Plan wisely: When organizing a get together or going for a party, do not plan your menu around food choices that are heavy in cream based sauces or empty calories like in a casserole. Instead of the usual mashed potatoes, sweet potatoes grilled with a drizzle of olive oil is a yummier, healthier option. Rather than a deep fried chicken breast slathered in mushroom cream, grilled chicken with a side dish of fresh vegetable salad is a better choice. Hang out with friends at the park: Do not kill time in front of the TV after a large meal, put on your running shoes and head to the park with a friend. Play a game of badminton or just take a walk around inhaling some fresh air while catching up.